Shepard Fairey’s mural at Bowery and Houston in New York City in May, 2010. Photo by sari dennise. Shepard Fairey has been consistently putting up street art since before I was born, and he has been one of the most important participants in the street art community as it has grown from graffiti’s nameless oddball cousin to the behemoth that it is today. As explained in the first chapter, Fairey’s first time showing his OBEY Giant work in a gallery was in 1994, and he had already been making Andre/OBEY stickers for about five years when that happened. But printing stickers and posters wasn’t free, even though Fairey did run a printing studio. 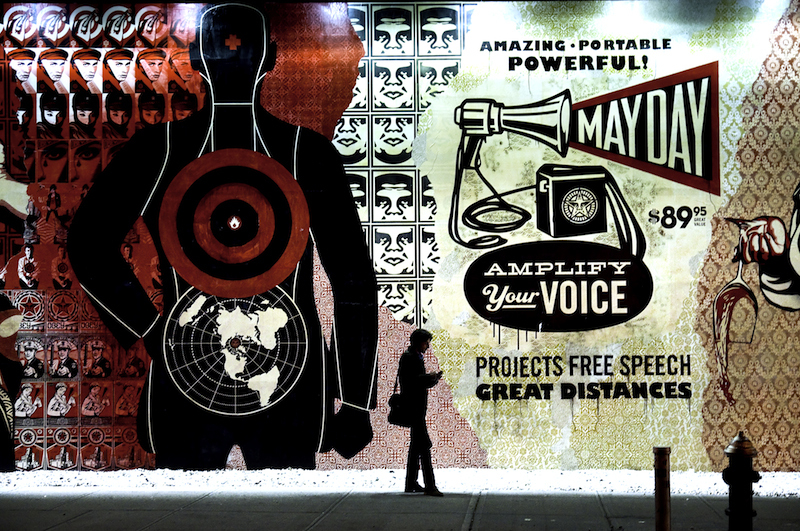 In 1995, Fairey set a goal for himself of funding the outdoor portion of the OBEY Giant campaign by selling fine art prints of the same images. He had already been using the same supplies and printing process to print both his street posters and the fine art screenprints. The only difference between the two was that the posters were on cheap paper ideal for wheatpasting and the fine art prints were on high quality paper suitable for hanging on a wall. While he sold some prints, it was not yet enough to entirely offset the cost of the posters he was making for the street. That wouldn’t come for a few years. 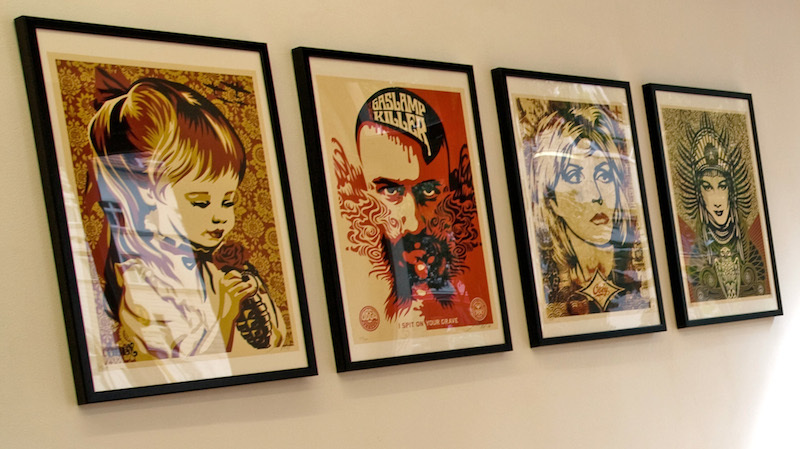 Four prints by Shepard Fairey. Original photo by Urbanartcore.eu, edited by RJ Rushmore. Fairey isn’t the only artist for whom the internet and ecommerce made a huge difference. Patrick Miller and Patrick McNeil of Faile say that their webshop, where they sell prints, allowed them to become full-time artists. While I cover a lot of “commercial street art” in this book, the commercial aspects of street art are not my focus. It is, however, a topic that writer and curator Pedro Alonzo has thought extensively about and it deserves a brief mention. Alonzo notes that prints were once an afterthought for artists, images based on paintings that were their primary and more reliable income. But prints have become huge business in the last decade, particularly in the street art community, thanks to webstores. Online, artists can sell out a print release in a matter of minutes and make hundreds of thousands of dollars in one day, a business model that Alonzo sees as a modern version of what Keith Haring was trying to achieve in the 1980’s.